As a leader, chances are that there are people on your team who know a lot more than you about what your group does. They have Expert power, yet you are supposed to be in charge. Want to know how to work with these people? Here are five things you need to know about expert power, and six things to do if you find yourself leading a group of experts. 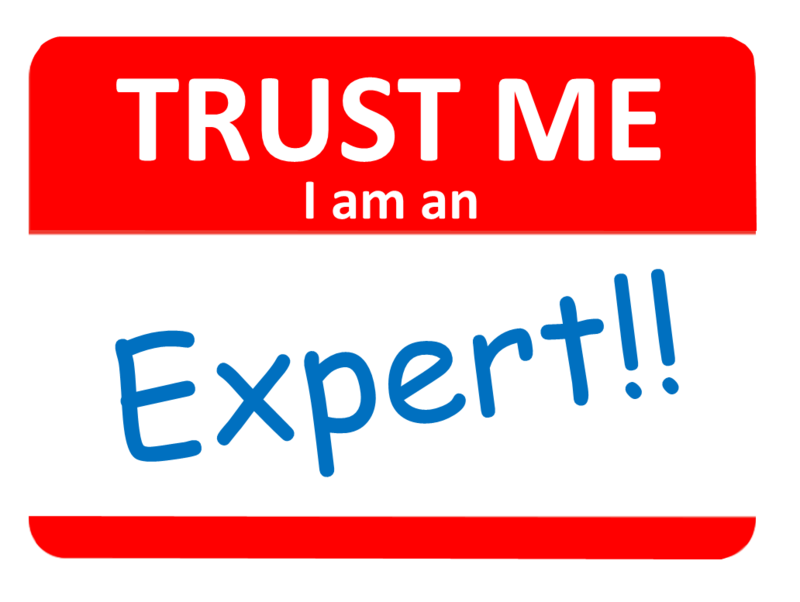 An expert is someone who has authoritative knowledge in a particular area or specialty. Often there are formal credentials associated with expertise, such as diplomas, skill certifications, or other evidence that demonstrate a high level of knowledge. Dentists, pilots, and paleontologist are all examples of this. If you happen to be the leader and possess expert power, you can be tremendously effective. Nothing inspires confidence more quickly than a leader who clearly knows what he is doing. How many movies have you seen where at the end, the expert steps up as dramatic music begins to play, and in no time he’s whipped the team into shape and on to victory? It’s inspiring stuff. But if the expert is not you, that’s OK, too. You just have to realize that your group’s expert can have enormous influence on the rest of the team. Whether you are the expert, or it’s someone else, be glad you have the knowledge and skills on your team. It can be a critical key to your overall success. But as with everything, there are things about experts you need to keep in mind. Expertise is Specific. Doctors know medicine, but just because I respect him as a Doctor doesn’t mean he can tell me the best way to change a tire or solve a business problem. The authority of expertise does not transfer to other areas, though the more areas someone is expert in, the more people will believe he is expert in others as well. Expertise is Relative. If your group is about to go white water rafting and you are the only who knows anything about it, then you are the expert. There are others who definitely know more about it, but within your group, you are the guy. Of course if you are practicing medicine, you should be a licensed doctor. But for lots of areas, with some work, you can make yourself the expert. “Expert” does not equal “Leader.” Expertise also doesn’t necessarily equate to common sense or leadership skills. Ever known some super smart people who were sometimes challenged to find their way to the super market, or organize a simple bake sale? Leadership has its own skill set; it certainly does require intelligence, but a series of other skills are important, too. Expertise Erodes. Expertise will decline over time if not maintained. Medical practices change, technology evolves, and what you remember from your experience doing something ten years ago may no longer be valid. To be useful, expertise has to be kept current. The older it is, the more careful you should be with it. Expertise can be a Tar-baby. People like to play to their strengths. If you are the leader and also happen to be the expert, there’s a temptation to do it all yourself – it’s in your comfort zone. But this could be a big mistake – don’t forget you have other leadership duties to attend to as well. It’s good to be involved, but teach others as you go, make sure the whole team is working the job, not just you. OK, so what if you are the leader but not the expert? What then? One of my first duty assignments in the Army was to lead an infantry platoon of 45 men in the Demilitarized Zone between North and South Korea. When I joined the unit I was one of its youngest and least experienced members. As the saying goes, many of them had more time standing in the chow line than I had in the service, yet I was supposed to be in charge. Here are six things I did as a leader of many experts. Follow these techniques and you will become a better leader on a stronger team. Be Honest. Don’t pretend to know something you don’t. The true experts will sniff you out anyway. You will gain their trust quicker if you are up front about it, especially if it is obvious. Be clear about what you do know, and willing to share it with others, and demonstrate that you are open to learning from your team. Get to know the Experts. Figure out quickly who they are and seek them out. 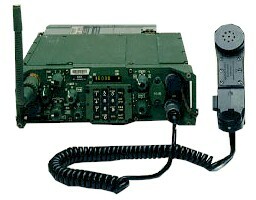 One way I did this was to ask my Sergeant who the smartest guy was on the new radio system. Then I asked that Soldier to teach me everything about it. By doing it this way, the Soldier feels good to be named the top radio guy by the Sergeant, and has the honor of teaching the Lieutenant. As the leader, I’m showing that I value his skill, and now he’ll be invested in making sure I learn, because if I don’t, he might end up looking bad. At the same time I’m picking up a new skill, and getting to know one of my top Soldiers. Everybody wins. Stay in Charge. You want to tap into your expert’s knowledge as much as possible, but in a way that leaves you the final say on decisions. If you ask one of your experts to “tell me what I should do,” you just gave up your authority and put him in charge. Instead, ask, “What would you recommend we do, and why.” This way, they get to share their knowledge, but the final call is still up to you. Recognize, don’t Antagonize. If your people are truly good at what they do, their knowledge maybe closely tied to their self-esteem. Show that you respect their knowledge and it will boost their esteem and keep them pulling for the team. Avoid getting confrontational with them, though. They could become less willing to contribute. Psychologist Abraham Maslow had some great theories about this concept of self-esteem and human motivation. Use your Critical Thinking Skills. Even experts are sometimes wrong, or they may be technically right but the solution is wrong for the situation. Your expert may tell you that your cargo truck is capable of carrying 2.5 tons of equipment, but you may not want to put that much on board if it needs to drive to the top of a muddy hill. Become an Expert. Finally, gain expertise for yourself as quickly as possible. You can’t be expert in everything, so focus on topics that will have a high payoff (using the 80-20 rule). Read books, talk to your smart people, get experience any way that you can. The knowledge you gain will be invaluable in and of itself, but you will also gain the respect of your team if they see you are dedicated to getting better at your job. A great book that talks about how to lead a team when you are not the expert is L. David Marquet’s Turn the Ship Around! He was a U.S. Navy Captain who was told on very short notice to take command of a nuclear powered submarine that he knew almost nothing about. In an environment where expertise is critical, he knew less than most aboard. Yet he managed to successfully prepare and deploy the boat in a very short time because of how he was able to tap into the abilities of his experts. Expert power is one of the best tools available to you. If it is something you already have, then you are in a good position to lead your team. If you don’t have it, you can always work closely with your experts while getting some yourself. A good leader is one who is always learning, and that will make you a more credible leader in the eyes of your team. Expert power is one of six sources of leadership power; you can read about the others here. Question: What experiences have you had in leading others who were experts? How did you manage to tap into their knowledge without giving up your leadership?